Charlotte, North Carolina is a city where culinary artisans—chefs, bartenders, brewers, distillers, and other foodie pros—are collectively pushing forward the city’s taste offerings and reputation. Even better, many are doing it without compromising the commitment to health—for humans and for Mother Earth. 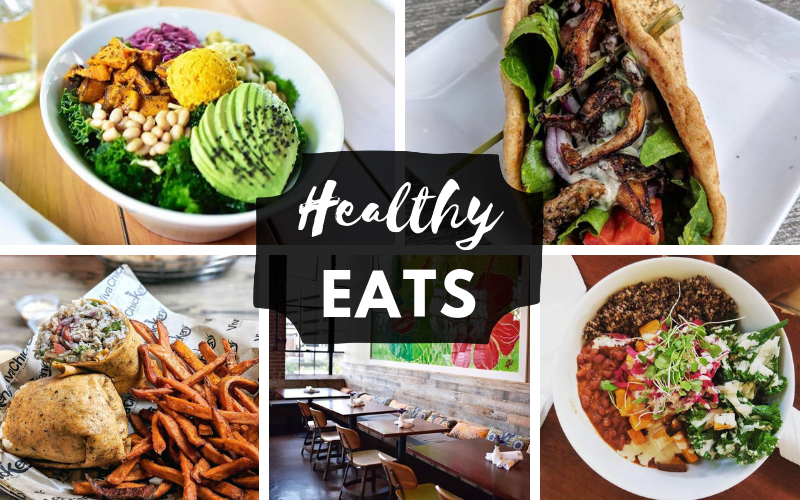 Whether you’ve resolved to eat healthier in 2019 or simply want to savor incomparable flavor, there are lots of delicious reasons to visit this Southern city. Fern, Flavors from the Garden came as a pleasant surprise to fit-forward Charlotteans in the fall of 2011 at its original location in funky Plaza Midwood. 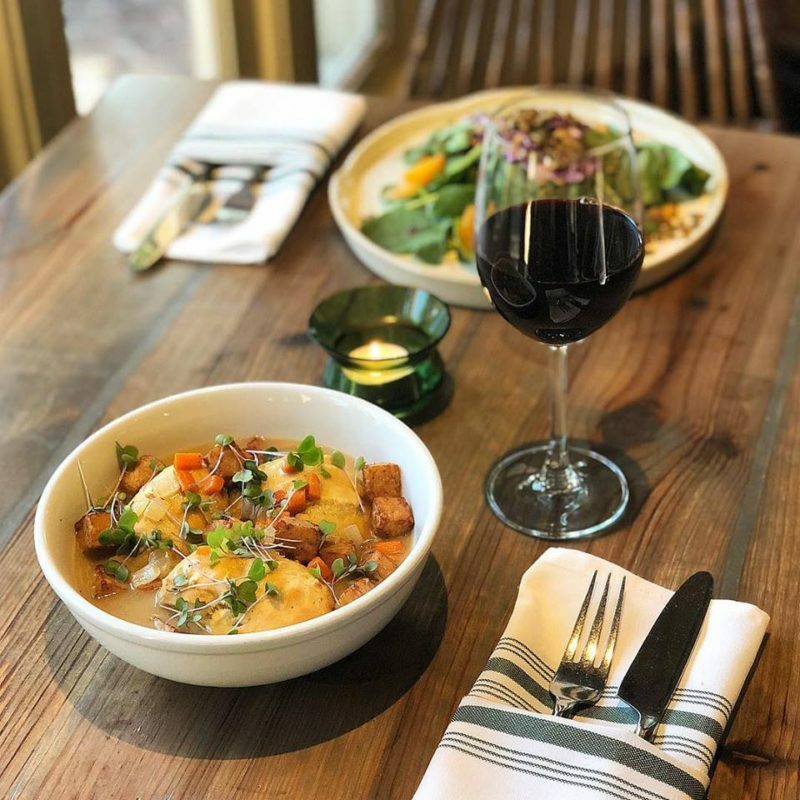 Now located in the more-upscale Dilworth neighborhood, and named the Best Vegetarian Restaurant by Charlotte magazine, Fern continues to delight with its inventive menu—and updated barn-chic interior. With ingredients sourced from some of the top farms in the area, Fern prides itself on a commitment not just to deliver creative, flavorful food, but on helping to nurture the environment by using recycled and recyclable products whenever possible, including made-from-starch to-go containers. 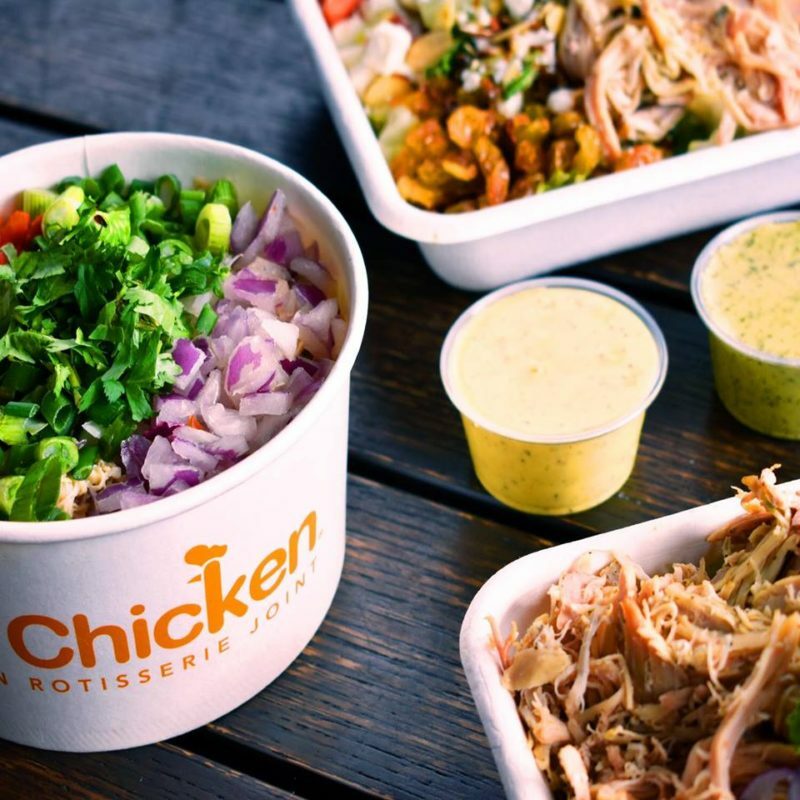 Healthy salads, wraps and sides are packed with flavor and keep locals coming back for more at Charlotte’s Viva Chicken Peruvian chain. Add the fact that the restaurant uses eco-friendly wares and to-go containers and you’ve got a popular chain boasting its sixth Charlotte location in just over five years. The Inca Wrap, or Peruvian-style burrito, comes packed with refreshing cilantro rice, canary beans, lime-marinated tomatoes and onions, and avocado, rolled up in a hearty sundried tomato or spinach wrap. Sides include green beans, tasty quinoa, sweet potato fries, and plantains. Don’t forget to stock up on the flavorful tri-color dipping sauces, made fresh daily. It may sound cliché to hit a salad bar for a fresh and healthy meal, but Whole Foods in Charlotte’s SouthPark takes it a step above. This long line of colors and textures equals a plethora of options and rainbow of health. Organic spinach, arugula, kale, romaine, and mixed greens meet multi-colored julienned-style carrots, Brussels-and-kale salad, soybeans, chickpeas, bright red cabbage, curried chicken, flavorful chicken salad, tofu, and tons more. A destination all its own, Whole Foods is not just a grocery store but healthy food seeker’s dining-out dream, starting with the salad bar, but also offering fresh-made sushi and sandwiches. Stop by the back corner for a toast—Whole Foods boasts a cozy wine bar where an Enomatic wine-dispensing system features 24 wines in several-sized pours. This is a healthy destination classy enough to meet friends for a drink. By sourcing as many ingredients as possible from local, sustainable farms, and by reducing refined oils, sugars and salts, Pure Pizza aims to bring its community together to share wholesome—and incredibly tasty—pies. Opt for the “Pure Country”—a salty-savory pie with country ham and sweet, caramelized garlic atop a classic tomato, mozzarella, and basil pie. The “She-Rex” comes with gooey mozzarella supporting mushrooms, onions, and peppers topped with light greens tossed in refreshing lemon vinaigrette. Pure also takes its “environment” seriously, and that means not only when it comes to the planet (the shop boasts recycling and composting initiatives in the kitchen and small wares in the dining room to minimize its environmental impact), but its locale, too. Pure Pizza selects locations in accessible, urban settings with bike parking so employees and guests can walk and bike to enjoy the food. 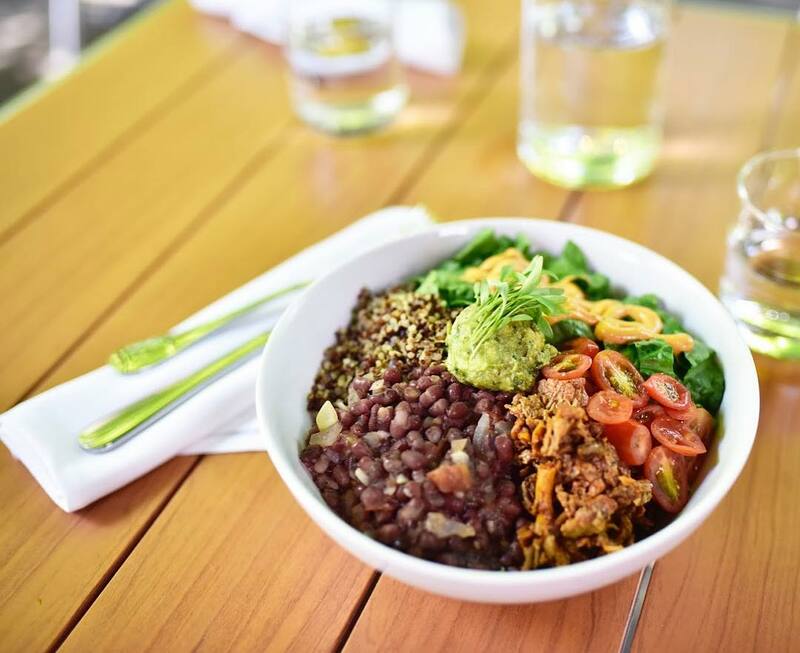 Living Kitchen’s all-organic and 100-percent plant-based menu makes for some truly interesting food options. Starters include the sweet potato sushi roll, featuring avocado, red bell pepper, cucumber, arugula and sweet potato with cashew rice, nori and a spicy Thai-chili sauce. The “Pad Thai” is a popular pick, an inventive spin on the original, made with fresh zucchini and sweet potato noodles, bean sprouts, red cabbage, red bell pepper, almond butter sauce, cilantro, cashews, and sambal. Substituting walnuts for meat and vegetables for noodles, the“Angel Hair Marinara” is a solid option, as is the longstanding “Living Burrito,” a collard leaf wrap containing sunflower seeds, refried beans, cauliflower rice, pico de gallo, guacamole, sprouts, cashew sour cream, and a side. No need to forgo your fitness routine when staying at Aloft Charlotte Uptown at the EpiCentre. The hotel offers a re:charge gym with cardio equipment, strength machines and stretching mats. There’s also a re:fuel eatery with grab-and-go items for mix-and-match meals. Both the gym and eatery are open 24/7. The Stay Well rooms at Charlotte Marriott City Center are designed to provide better rest, more energy and reduced stress, plus help recover from jet lag quicker with special features including an air purification system to reduce allergens; aromatherapy; mood lighting; a natural memory foam mattress; and dawn simulator. Stay Well guests also receive access to wellness content from the Cleveland Clinic on sleep, stress and proper nutrition. Embark on a wellness journey at The Ritz-Carlton Spa, Charlotte. Scents of honey and cocoa waft from the bi-level penthouse spa, where treatments highlight organic ingredients. Guided by a holistic approach to wellness, the spa features five treatment rooms, lounges, a state-of-the-art fitness center, swimming pool and whirlpool, nail salon, and salt room. 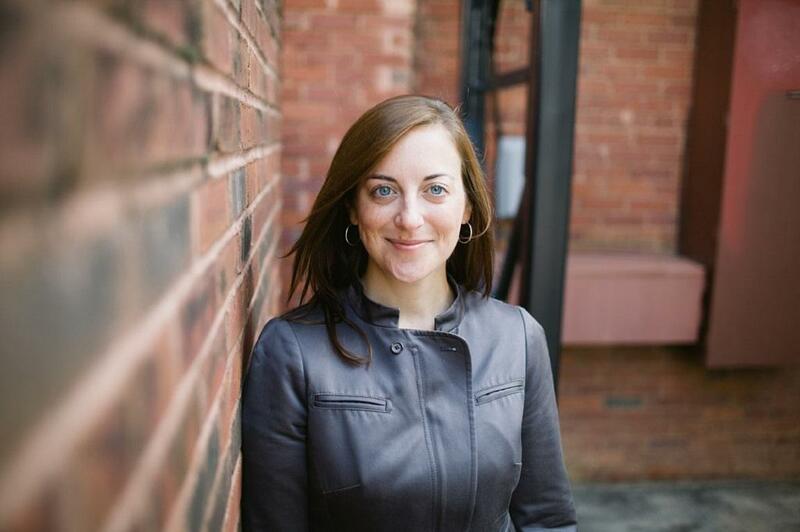 Virginia Brown is a freelance writer based in Charlotte, N.C. 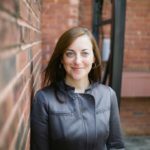 Her work can be found in Departures, BBC news magazine,Charlotte magazine, and the collection of stories, 27 Views of Charlotte, among others. Reach her atvbwrites.com.